Civil Eats has an interesting article, written by Kristine Wong, on a US training programme run by Family Farmed . It aims to help small farmers break into larger wholesale markets. The training revolves around US food safety certification, such as Good Agricultural Practices and Good Handling Practices and is supported by a manual called ‘Wholesale Success’. The struggle to meet exacting food safety and hygiene requirements by small farmers and producers also applies in Europe, and this seems like a worthwhile initiative that could be worth a look. Civil Eats has an article, written by Steve Holt, on the evolution of farmers’ markets in the US. He considers five ways they are changing. How does this reflect what is happening in other countries? The Final Mile: Food Systems of New York is a new initiative by OpenHouse and is a year-long series of public programs, intended to shed light on New York City’s dynamic and multi-layered food economy. The series of tours and events aim to help New Yorkers better understand how food shapes the city in critical ways that all too often go unnoticed. There is a good introduction on the blog which talks about how ‘every plate of food that we eat represents a vast network of interconnected spaces, large and small, that facilitated the flow and preparation of the ingredients of that meal‘. It provides some staggering statistics about the city, including 24,000 restaurants, 5,500 supermarkets, groceries and convenience stores; 1,730 food wholesalers and 120 farmers’ markets. The city’s largest produce market (Hunts Point) handles 210 million packages of fresh fruit and vegetables each year and the fish market (New Fulton) sells millions of seafood daily and annual sales exceed one billion dollars. 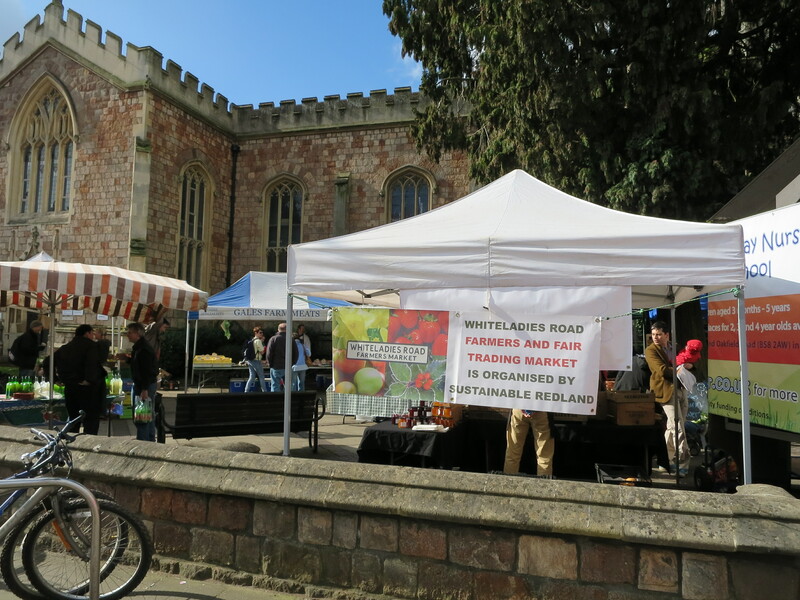 My trip also took me to Bristol and this morning I saw the Whiteladies Road Farmers’ and Fair Trading market that operates twice a month as part of Sustainable Redland. It’s an interesting combination mixing the local with traceable exotic produce in a busy and long-standing community market. I have just been watching some of the short films selected as finalists for the US Real Food Media Contest. These include a film about Los Angeles baker Mark Stambler who got involved in changing the law to legalise sales of home made food in California in 2013. He remarks that changing the law was child’s play when compared with getting his bread marketed and sold! 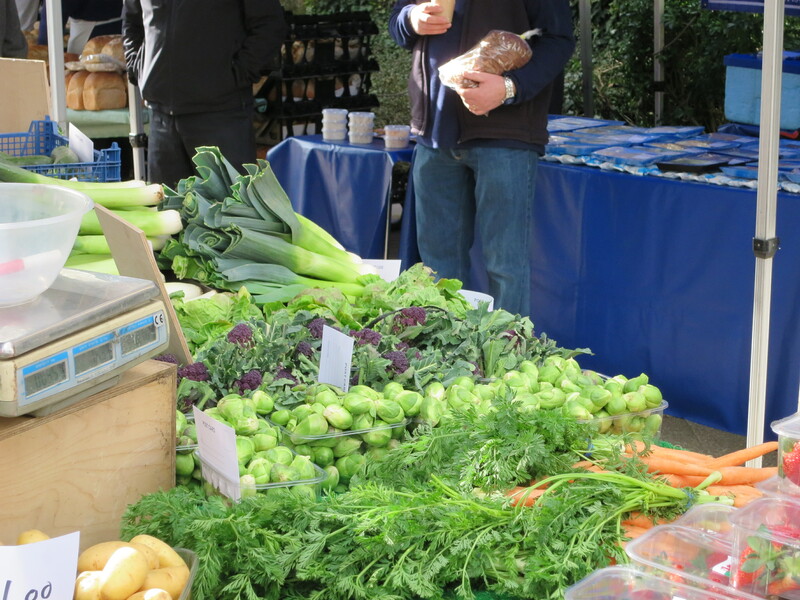 21 February 2015 – are farmers’ markets peaking? Since 2006, the number of school districts with farm-to-school programmes increased by 430 percent.